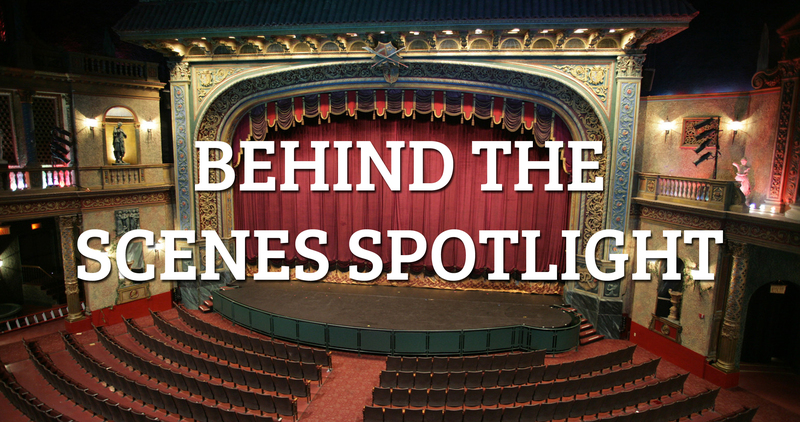 This is Craig’s third season as the Director of Lighting & Sound at The Rose Theater. 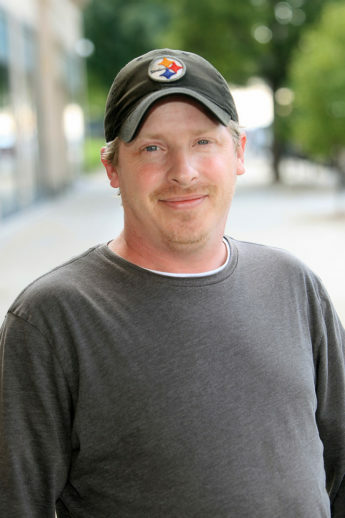 He received his MFA in Design and Production from Southern Illinois University at Carbondale. Some of Craig’s favorite shows that he has designed at The Rose include: Joseph and the Amazing Technicolor Dreamcoat, Van Gogh and Me, Wonderland—Alice’s Rock and Roll Adventure, Robin Hood, and last season’s Newsies. Q: Can you tell us about the job of a lighting designer? A: A lighting designer is a storyteller! Something very special about my job is I get to use light to help to tell the story. I can change the mood of each of the scenes by making it look bright and fun, or gloomy and dark. By using the elements of design, such as color, texture, and intensity, I can make the audience feel a certain way, and help to make the world for the story to be told. I do this by manipulating all the individual lights that are hung up over the stage to create the “stage picture.” I like to think of each of those lights as my paint brushes that I use to illustrate the story. Q: What is something you’re excited about the audience experiencing in Goosebumps – The Musical? A: I am most excited about being able to bring the audience to spooky places during the show. Also, I will have to do a few lighting tricks, much like a magician! One challenge is the lighting will have to play a large role in building suspense. It will be a lot of “sleight of hand” on my part to trick you into seeing what we want you to see as an audience member. So, I’m going to have to be a bit of a magician, which is both challenging and exciting! Q: How did you become a lighting designer? Did you have to take any special classes? A: I have always enjoyed reading books and drawing something how it looks in my imagination. Becoming a lighting designer seemed to come natural to me and allows me to make the biggest brushstrokes possible to make a story happen! I did take classes and studied light very closely while earning an MFA, but not all lighting designers need to do that. With passion and desire, plus a lot of hard work, anyone can become a lighting designer! Q: What is one awesome thing and one challenging thing about your work as a lighting designer? A: One awesome thing about my job is all the different types of lighting instruments, and cool technology I have to create my work. I am challenged every day to come up with a different way to tell the stories for the audience. I am always having to “think outside the box” because each show is different. I must change the way I think about each one. To be honest, that’s really the best part. Every show is new, so I am never bored! Q: What is your advice for young people who would like to pursue lighting design when they grow up? A: Enjoy the world around you! Take notice of the small things. Light has a huge impact on your daily life. Look at art! Go to an art museum and experience how light works in paintings and the range of colors and textures that you find. Experiment with light to see what you can make it do! The possibilities are endless! Thanks for sharing your work with us, Craig!